Whether you’re fighting Father Time and the nasolabial folds he bestows or trying to prevent the awkward “you-missed-a-spot-Gorbachev-birthmark-burn”, choosing the right sunscreen can be diffy! Do I need a Sun Block or a Sun Screen? And what’s the difference? Do I care about UVA or UVB rays? And what’s the deal with nano-particles? Nanoparticles vs non-nano. A nano particle is really, really really small. 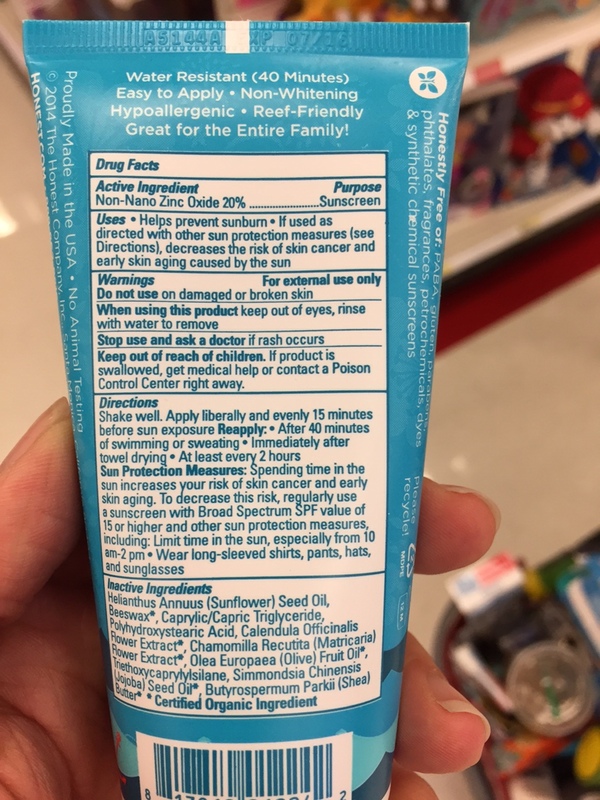 Studies show nano-particle sized zinc oxide, commonly found in cosmetics and sunscreens, can get ‘up-in’ human cells and cause cancer, nerve damage and brain damage. So there’s that. Opt for non-nano zinc please. Especially when lathering up yo’ chillins and babies. Next best: Hats, Sunnies, Umbrellas and Clothing, but if you don’t wanna look like Nicole Kidman at the beach Lather up! Use ZINC! but NON-NANO Zinc. I’m a sun advocate and a burn condemner. Ease into the sun and avoid sunscreen use is my line. Thank you so much for the non-nano zinc pearl, priceless. I had wondered why I’d heard “zinc was bad” since well, isn’t zinc just zinc? Apparently not! Thank you for the information on sunscreen, and sunblock. I was not aware of the many differences between the two, especially pertaining to nanoparticles, and non-nanoparticles. I did find something a little confusing, though. You stated only sunblock will help protect against cancer, but the picture you showed was labeled a sunscreen, and it said it decreased the risk of skin cancer. 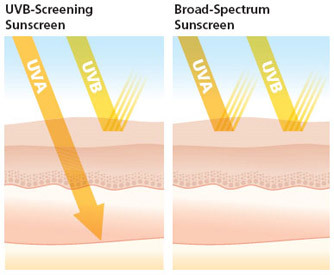 So, I guess my question is, does sunscreen, if it’s broad spectrum (UVA/UVB), protect against skin cancer? You had written that sunscreen only blocks UVB rays, not UVA rays. Could you please clarify for me? Technically nothing FULLY Blocks the sun, but broad- spectrum sunscreens (also commonly, and perhaps less-acurately, called sunblocks) block both UVA and UVB, thus providing better protection. Thanks for the question/clarification.